KIDS ACTIVITIES HAVE BEEN RELOCATED UNDERCOVER! 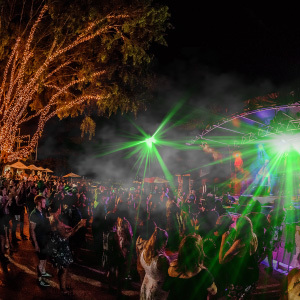 LASER LIGHT SPECTACULAR WILL CONTINUE OUTDOORS AT 7PM. UNFORTUNATELY THE JUMPING CASTLE & HOOP SHOOTING HAS BEEN CANCELLED AS THEY COULD NOT BE RELOCATED. There’s a huge amount of entertainment for kids of all ages at Paddyfest! 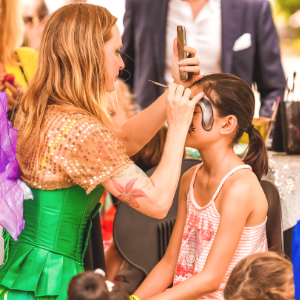 Experience Brisbane’s best family festival with equal amounts of fun for Mum & Dad as well as the little ones! 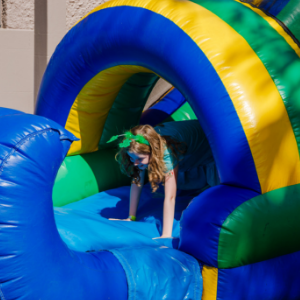 Little Leprechauns Kids Zone is the thriving hub for all things kids LOVE – plus it’s located adjacent to the Main Stage and Paddyfest Central so parents get the best of both worlds. Let your light shine and make an Irish inspired green lantern – it comes with an LED light so it really glows in the dark! 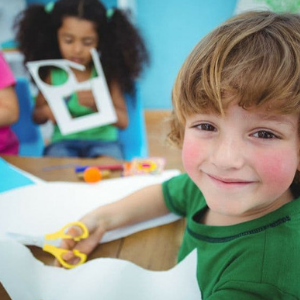 Then try your hand at paper crafts including a Leaping Leprechaun Puppet and Pot Of Gold Rainbow that doubles as a kite! Bright, colourful and engaging – create some beautiful souvenirs to take home from Paddyfest. Get in to the St Paddy’s spirit and cover yourself in clover temporary tattoos, green hair spray and emerald body art! Kids, can you convince bring Mum & Dad to rock a shamrock on their face? This station is for everyone – and we can’t wait to see your colourful faces around the festival! 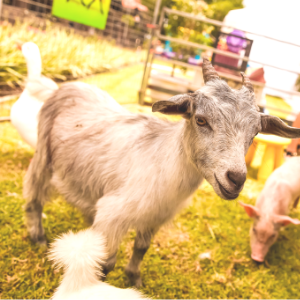 Cuddle and snuggle some adorable farm animals at the Scruffy Murphy’s Petting Zoo. These loveable animals are making the trip in to the city from their green country pastures to spend some quality time with you! Roll up, roll up for the most interactive circus performances at Paddyfest! 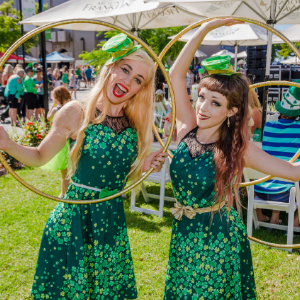 Do the loop-the-loop with a hula hoop, and gaze at the magnificent stilt walkers. Laugh along with the silly Leprechaun comedian’s jokes and see how many bowling pins you can juggle with the Irish Juggler! Can you do the Irish jig? Are you a budding Riverdance superstar? 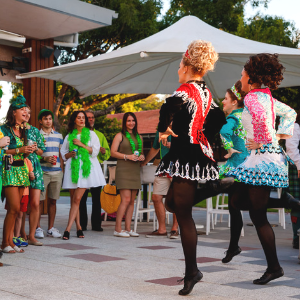 Now is your time to shine as you dance along with some professional Irish Dancers from Walker’s Irish Dance School! Due to predicted wet weather this has been cancelled. There will still be lots of fun for the kids so be sure to head along!! 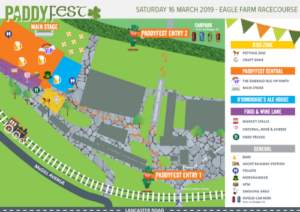 WHATEVER THE WEATHER, PADDYFEST WILL GO AHEAD! ALL ENTERTAINMENT RELOCATED INSIDE!